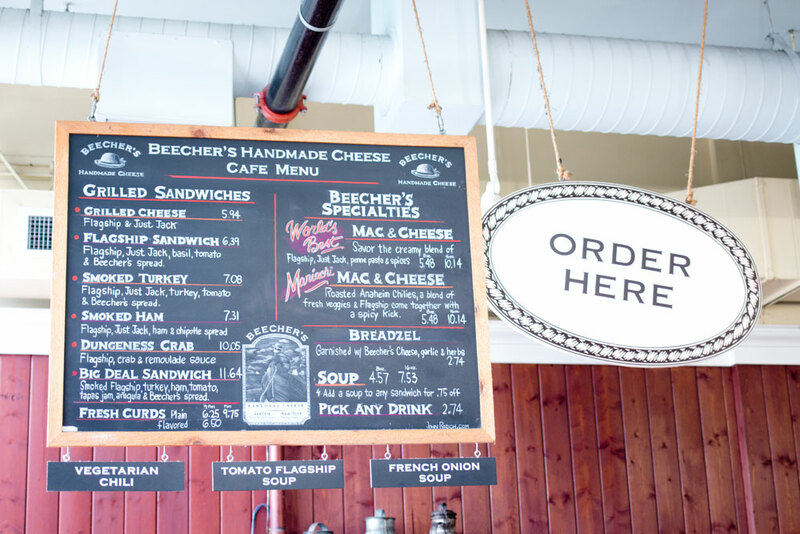 A couple of weekends back, I ventured downtown despite some insane traffic (due to all the events happening that weekend and lane closures) to meet up with a group of bloggers for the Seattle Food Tours at Pike Place Market! 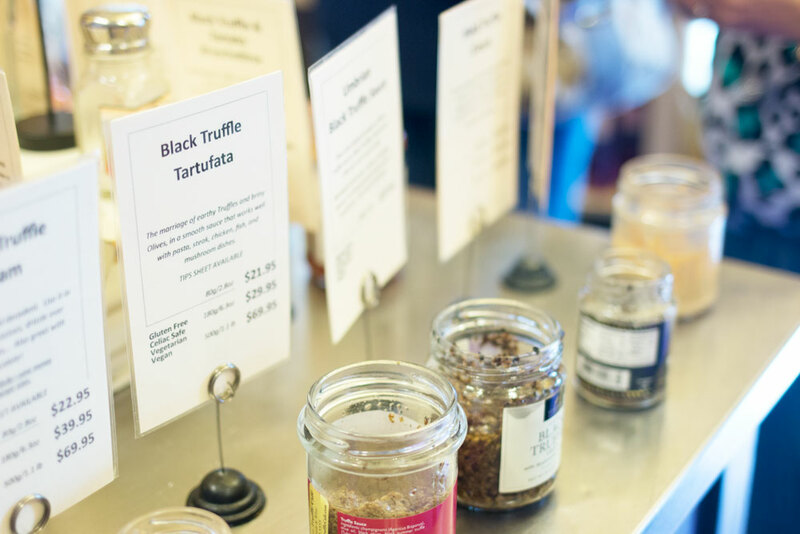 Of course this post is also timely because I just shared where to eat, shop, and what to do in Seattle at Have Need Want. Talk about kismet, right? 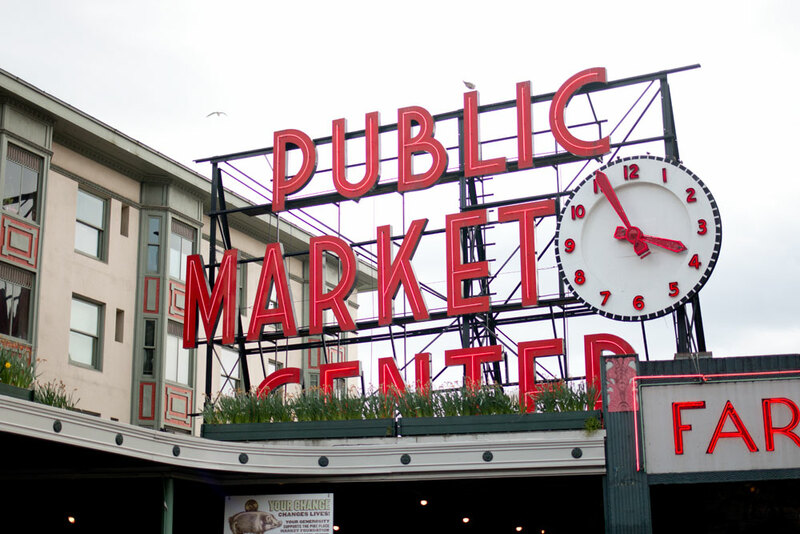 Our adventure began in the heart of Pike Place Market, hearing the history of how it began, how it almost was destroyed, and how the people of the city resurrected it. It’s one of my favorite places to recommend to new visitors to Seattle. 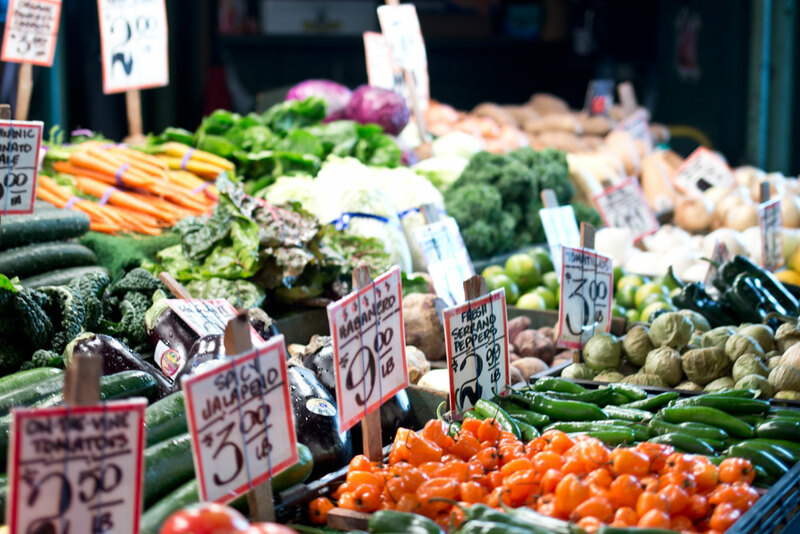 From the farmers to the artisans to the amazing food available in just a few steps in every direction, Pike Place has it all. We had the opportunity to try cuisine from all sorts of locales. The ones that stuck out the most for me were the Indian Samosas, Greek Yogurt (yes, seriously. It was amazing! 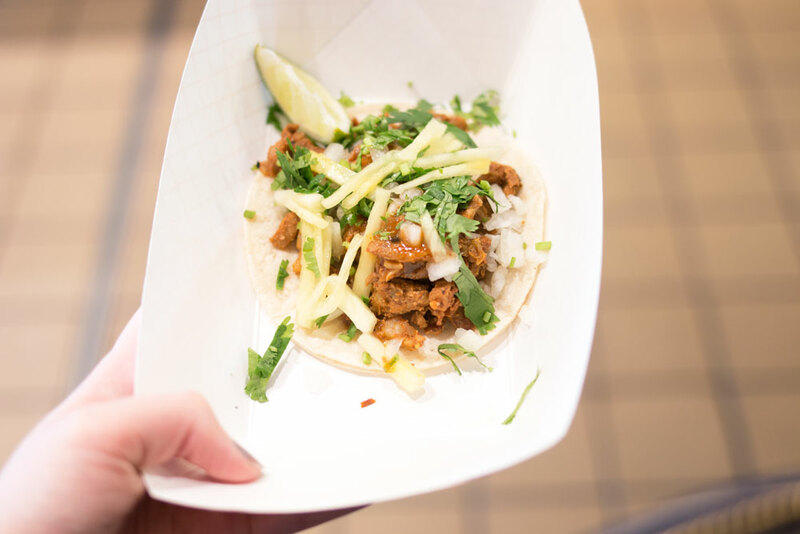 ), and the tacos pictured below. We also got to try some great local seafood – the Salmon Burger from Tom Douglas’ Rub with Love Shack and fresh smoked salmon from one of the fish stalls inside the market were equally delicious. These tacos from Los Agaves were so good. Pork, pineapple, onion, and cilantro? Yum! No trip to Pike Place would be complete without visiting a street performer. 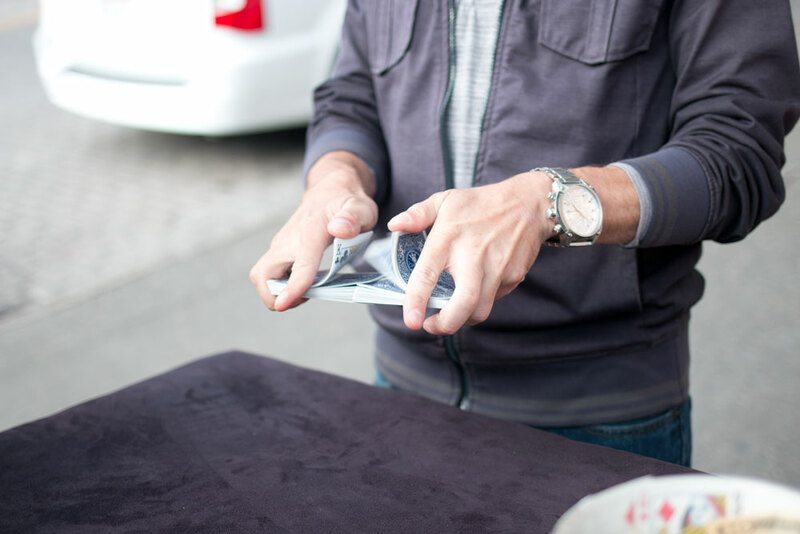 This guy was like magic – his tricks were unbelievable! I thought I saw him slip up once, but he still had us fooled in the end. No trip to Seattle is complete without a celebrity sighting! Just kidding, that doesn’t really happen very often around here. 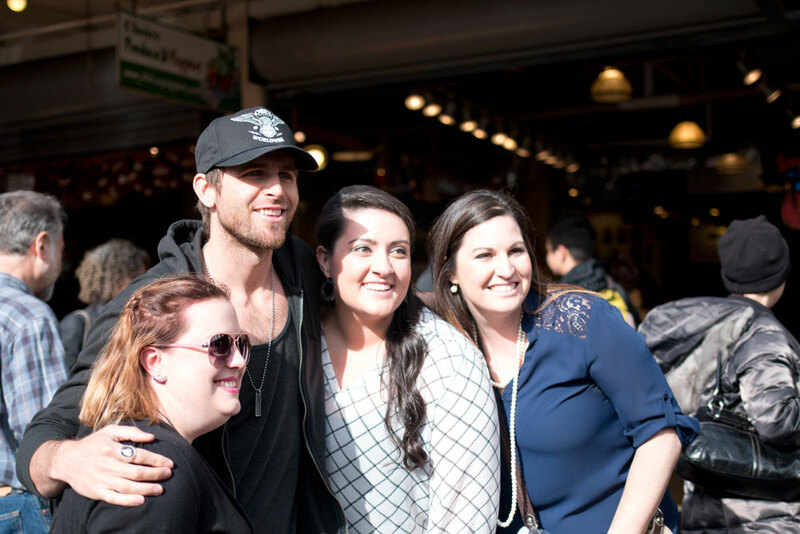 Kelly, Jennifer, and Jessica had plans to go to the Dan & Shay/Canaan Smith concert after the tour, and what do you know, they ran into Canaan Smith while strolling through the market! I had no idea who he was, oops. Have you ever played tourist in your city? What do you recommend for out-of-towners? 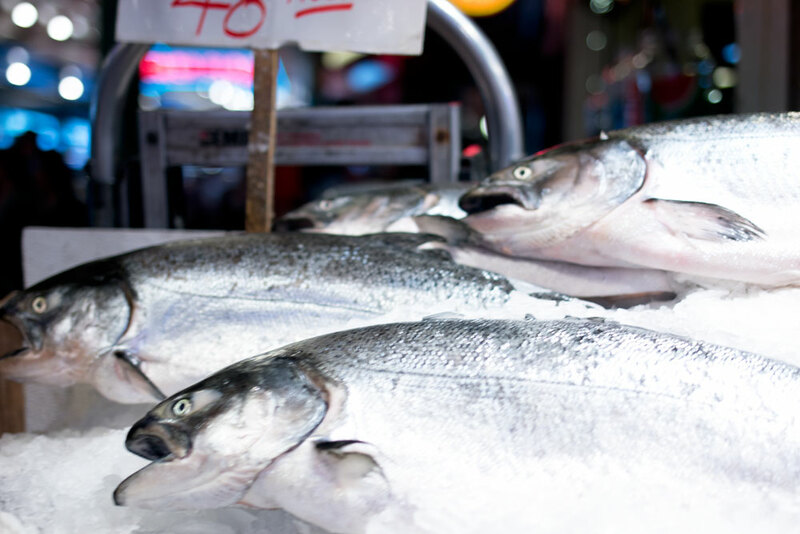 Looks like you had such a fun outing – I love Pike’s Place! I haven’t done many tourism things in my own town, but now I’m feeling inspired to! Haha, love how you told him you didn’t know who he was! :D Looks like a great time! Ok, all I want to do now is go to Seattle! Love this article!!! How fun! My parents lived in WA when they were first married. Makes me want to go back! How fun! My husband’s brother just moved to that area and I love seeing all the neat food available! it’s official I really need to come visit. those tacos look incredible!! Ahhh still so bummed I missed the meet-up! I’ll definitely have to be there for the next one! Hopefully we’ll get a few more girls, too! Can you believe I’ve never done the food tour? I’ve heard great things about it and have obviously spent time at Pike Place, but I need to do this! I have no idea who those music celebs were either….what kind of music? Looks like you had a blast!!! Country music… which is why I had no idea who they were! Haha. :) The food tour is a lot of fun, even if it is a little touristy. Definitely fun to do in a group! YUM! This reminds me of Faneuil Hall in Boston! It’s a market place filled with all kinds of different foods and shops to try and I always recommend to my friends who visit Boston to go there! It’s also a pit stop on the freedom trail (which is basically a path of red bricks built into the sidewalk that leads a tourist all around downtown Boston through all of the historical sites) and it’s an awesome way to experience the city! Oh that sounds fun! Dave visited Boston a few months ago for work and I was so jealous – they did the Freedom Trail at night! I loved visiting Seattle 2 years ago. Hard Rock Cafe is amazing. I took home my glass. for a souvenir. I wish I would have taken more time at Pikes Market, though. I got invited to this but couldn’t make it. Looks like you guys had so much fun! I love Seattle.